Oh playdates, playdates and more playdates. Through the years playdates have taken on many different versions at my house from working full time, working from home as a consultant and now working full time with some flexibility. The caliber and expectations from my first to my fourth kid have changed drastically. When Maddi was younger we had playdates at museums, full on tea parties and always had an agenda with a healthy snack and craft options. I’m serious, an agenda with full blown themes. Fast forward to my Alli, and we have free play, bring a friend to your brother’s baseball game or run errands around the city with Mrs. Arnold kinda playdates. Kids with stay at home moms or moms with shift schedules (doctors, nurses, police women, etc) have more opportunity to schedule playdates and socialize with the school community than the traditional working mom, so sometimes I wonder if my kids are missing out on friendships. So when my Alli asks for an on-the-spot playdate (every single time that I happen to be at school pick-up), I say yes! Yes …. with a few conditions since I’m likely working from home. 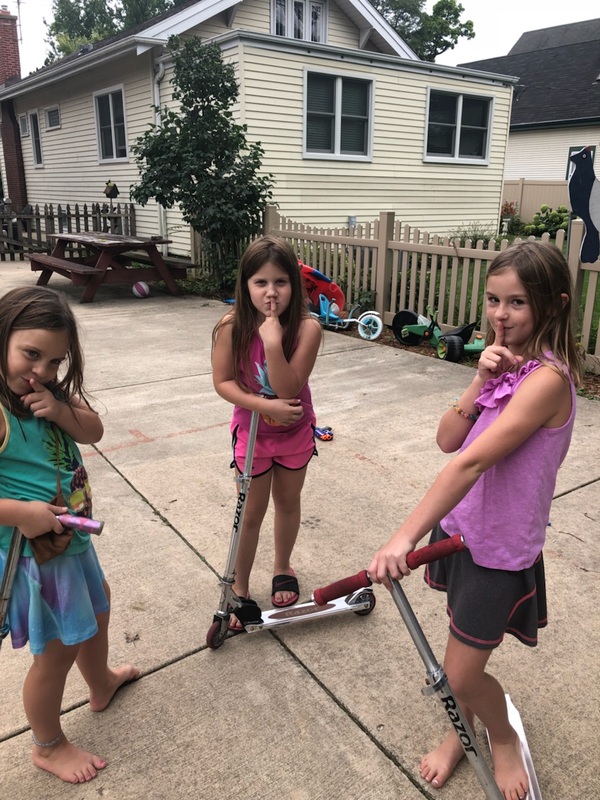 This past Friday, I said sure under one condition … you have to be quiet until 5 p.m. Can you imagine asking three sassy little 2nd graders if they can promise to play quietly? Of course, they agreed as they were squealing and giggling with delight (letting me know that their moms also have lots of work calls). We pinky promised and went on our walk back to our house. Believe it or not, they played quietly until my workday was done. Then we turned on Kids Pop, turned the volume way up, had a little dance party and made some super cute Jo Jo Siwa bows. Next Post >> Who is Picking This Curriculum?